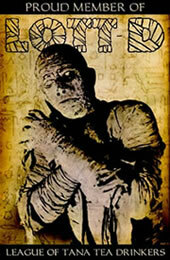 As a side-note to the reader I should let you know that I initially decided to give this film an unfavorable review. I purchased a DVD of this title a few months ago, watched it once and didn't like it. So before writing the review I dusted off the disc, fired it up and watched it a second time and started to notice that there was merit in this film even if it is not among director Dario Argento's better works. 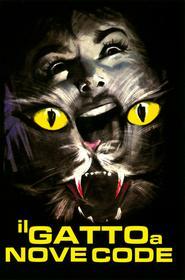 Cat o' Nine Tails establishes Argento's departure from Spagetti Westerns to Horror and Intrigue movies. There are a number of scenes that display the bud of his visual style which would be developing to his higher potential. Mr. Arno allies himself with reporter Carlo Giordani (James Franciscus) to investigate the crimes resulting in the next murder, that of the news photographer who took the picture of the supposed accident. The culprit, who manages to stay one step ahead killing every potential witness and informant, is leaving a grisly trail which will lead to the discovery of his dark secret. And in the interest of not spoiling the plot for those who are interested in seeing Cat o' Nine Tails I'll give no more away. So if you want to know what happens you have to see it for yourself. I had to suffer through it so can you. Now to be fair this is far from being what we might consider as good but neither is it void of merit. It contains several fine visuals such as the scene at the railway station when the victim is thrown in front of the train and decapitated under its wheels. We also note that there is some excellent editing done. There is as well a tight car chase through the streets of Rome, which were not built for today's type of cars. However the film is hampered by dry dubbing (the Italian release would also be redubbed in Italian as is the method used in many low budget European movies) and the plot is linear and weak in parts. I was also annoyed when the child Lori was kidnapped by the murderer and placed in jeopardy. It is a personal dislike of mine to see children abused in films but I do admit that it is my bias. I do think this to be of particular interest for Argento's more loyal fans and other genre enthusiasts who are interested in a director' earlier works.